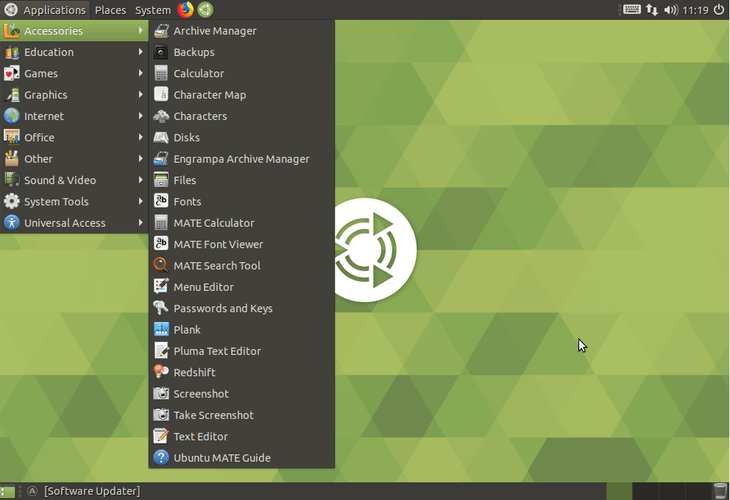 The objective is to install Mate desktop environment as an alternative desktop environment. 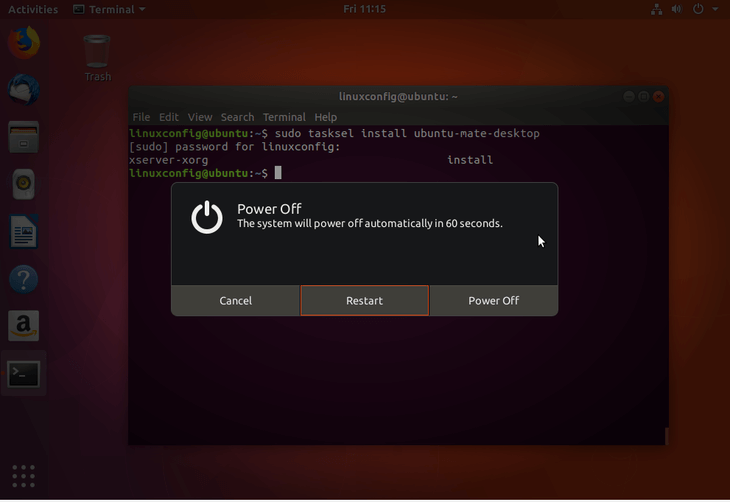 See also our article: The 8 Best Ubuntu Desktop Environments (18.04 Bionic Beaver Linux) for more desktop environment choices. 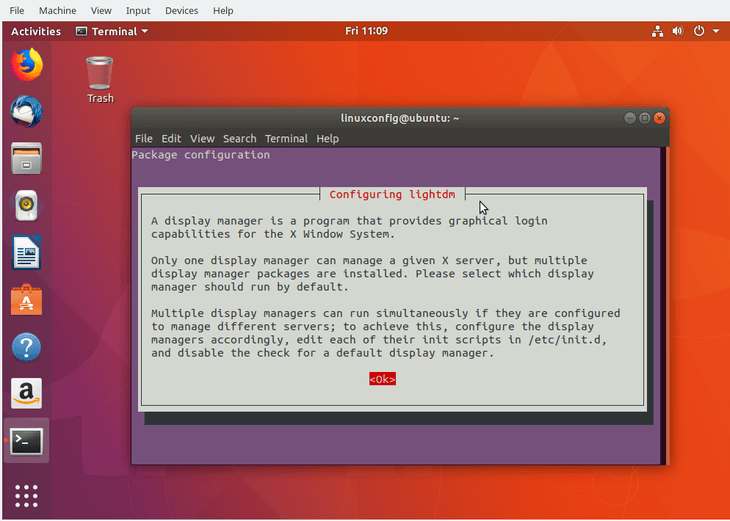 Select a display manager. 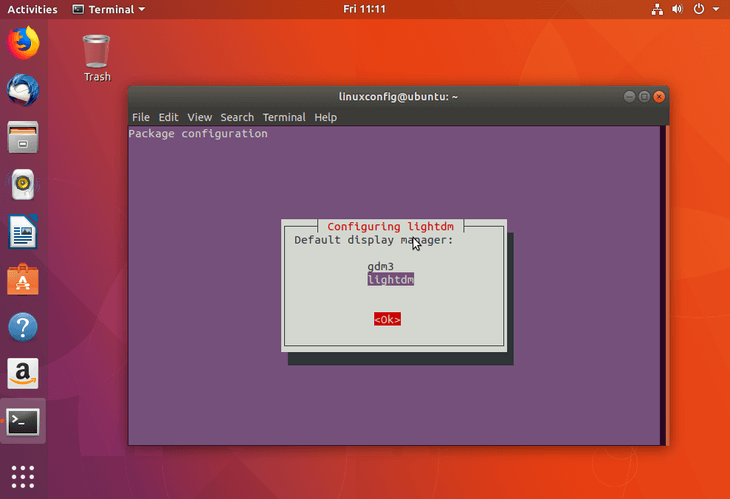 lightdm is the default display manager for the Mate desktop. Once the installation is finished restart your system. Login with your existing credentials.